This is now how former street children in Calbayog City now earns. TACLOBAN CITY – From begging in the streets to selling their art works. This is now how former street children in Calbayog City now earn. And they have to thank Dennis Calag, a local artist who came up with this initiative. Calag said that considering that these children have no experience in drawings, he just allowed them to sketch anything and become creative and imaginative in the process. The former beggars were given drawing materials by Calag but some of them lost their materials reason why he devised some ways like using paper boards. The children’s artworks are sold from P1 to P5. Calag said that their previous earning of P20 to P30 out from begging, the children could now earn as much as P100 from selling their simple art works. While it was Calag who initiated this kind of activity which warmed the hearts of the people, he does not like to be solely recognized saying credit should go to the children themselves. This heartwarming story has captured the hearts of many after a social media user posted this story of Calag, praising him for what he did while others asked how they could help the children. “It was like a social experiment. 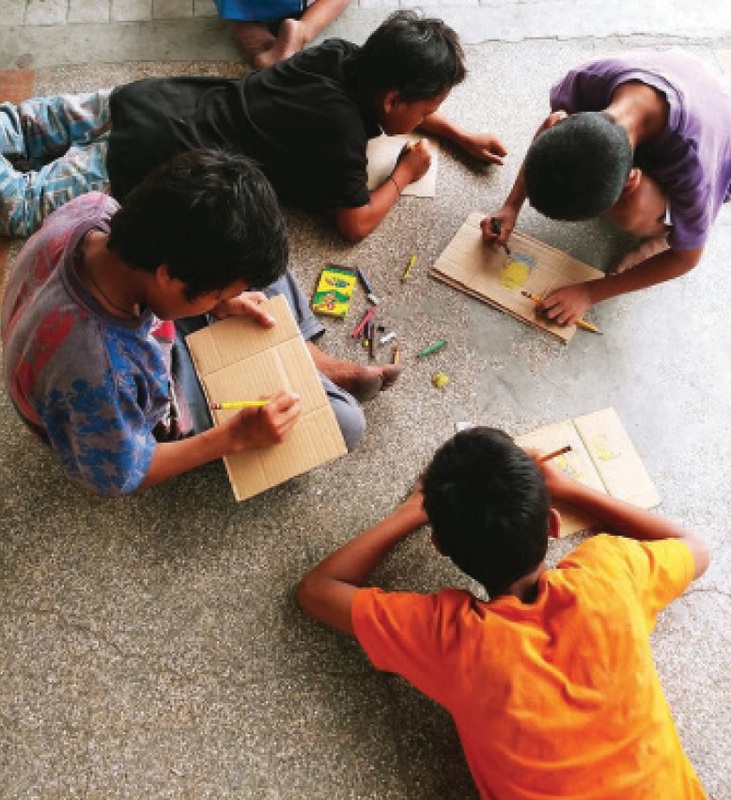 I wanted to know people’s reaction when they see street children selling their artworks rather than asking for alms and so far, the response was positive,” Calag said. Calag appealed to the public not just to patronize the art works of the children but also take some time with them to really know their stories and why they were forced to beg for money. Calag added that he is happy to learn that there are artists from other provinces who were inspired and wanted to replicate what he did in Calbayog City.